Yes, yes, I love the tabloids. What can I say? 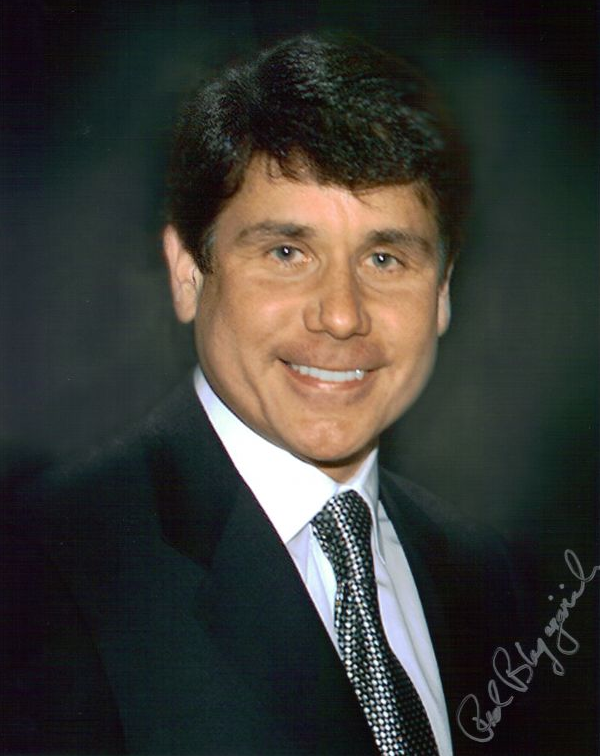 All summer I have been waiting with bated breath for the sure-t0-be spectacular sideshow circus otherwise known as the Rod Blagojevich testimony at his corruption trial. I mean, the guy said over and over again for the last 19 months that he couldn’t wait to speak and set the record straight! And, lo and behold, when it finally gets down to the wire and it’s time to hear from the Great One he hides behind his lawyers and decides he won’t take the stand! Rumors abound that his defense team had been practicing his cross examination last weekend and that he was so abysmal that they decided to just cut their losses and end the case right there. Pretty ballsy considering they mentioned to the jury more than once in their opening statements that Rod would testify. I’ve served on a jury before – believe me, nothing this exciting – but I can tell you right now that the minute a defendant decides not to take the stand, I automatically think they are guilty. I know you’re not supposed to think that, and the judge will instruct this jury to not take this in a prejudicial manner, but it’s just human nature. I’ve never understood that if you didn’t do it, why wouldn’t you say so? One reason: You did do it. 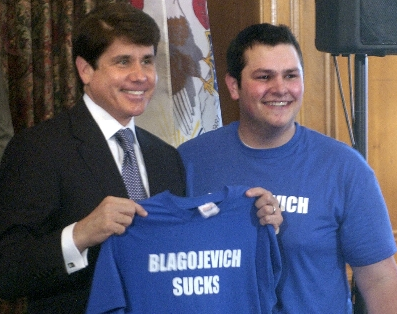 Many Chicago talking heads are still betting that Blago will get off – not due to Blago himself testifying or not testifying, but because the case is fairly weak. But, you never know what a jury is going to do. I think he’ll be found guilty, but the sentence will be light. Why am I not surprised at anything anymore? 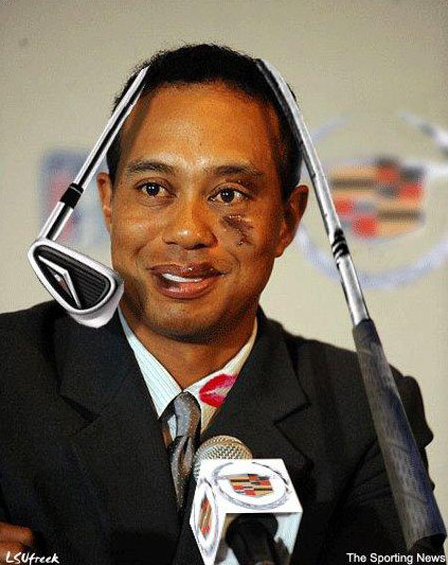 Tiger, Tiger – et tu? I have no words for this, outside of WTF???!?!! I am truly embarrassed to be from Illinois right now. No, not for me! But I am off to NYC for a couple of days to go to some business meetings with my husband. And, it just so happens that we are staying in the hotel run by one Mr. Simon Van Kampen of Real Housewives of NYC fame. Add to that a nice dinner for Thursday at Gordon Ramsay’s (Hell’s Kitchen) restaurant (no, not the fancy-schmancy one) and probably a sandwich thrown in from Tom Colicchio’s (Top Chef) shop and I will have had a totally fake/real few days. Keep you posted. Oh, and I really just wanted an excuse to post a picture of Chef Ramsay, as I think he’s kinda hot. He may have to go on The List.